With VPS hosting you can customize your assigned server space according to your business needs while keeping your budget in control by sharing server maintenance costs. If you require more control over your server but cannot afford a dedicated server, go for virtual hosting. The section below provides answers to the some of the most frequently asked questions on Virtual Private Servers and VPS hosting. Shared hosting allows business to benefit from a consistent and reliable hosting service without having to build expensive infrastructure by sharing resources. Content is stored on a network of servers (called clustering) which improves redundancy and reduces the risk of failure. All hosts shared the same IP address. Incoming traffic is shared across the network of servers (called load balancing). This ensures your clients receive the best performance on your site and allows for thousands of web requests at any one time. At Complete Cloud we proactively monitor our network 24x7 to detect and resolve issues before they affect our clients. "What is a virtual private server (VPS)?" A virtual private server (VPS) allows multiple users to have their own virtual machine on one physical server but share it resource including memory, storage, processor and power. Customers can benefit from having full access to their virtual server to modify the configuration or install custom software without the expense of dedicated hardware. This cannot be done with shared web hosting. Each virtual server also has its own dedicated IP address, bandwidth and processing power from the server. This also allows you to host multiple domains on a single server. Dedicated hosting provides companies a dedicated server that is not shared with any other customers. The company has complete control over the server and can configure it to suit their needs including choice of operating system, hardware and applications installed on the server. You also have a dedicated uplink and downlink that is not shared with any other customers along with a dedicated IP. Dedicated hosting is usually used where a company have specific requirements related to configuration or they require a high level of performance due to traffic. Dedicated hosting is usually used where a companies have specific requirements related to configuration or they require a high level of performance due to traffic. "Can I upgrade or downgrade?" If you are on a month to month contract you can upgrade or downgrade your plans with 1 month’s notice. If you are on a fixed term plan you can upgrade during any time and can only downgrade once the term is complete. "Can I manage my settings?" 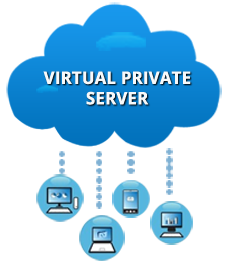 With a Virtual Private Server you have complete access to manage your server to suit your own requirements. "What is bandwidth and disk space?" Your bandwidth in hosting refers to how many pages and information your visitors can view on your site each month or the amount of data that can be downloaded. If the average amount of page views per visitor is assumed constant, the allowable bandwidth defines the number of visitors you can support each month before your website begins to slow down. Disk space refers to the amount of space your site requires on the server. HTML pages are quite small, images and videos take up larger amounts of space. Uptime defines how long your web server is up and running over a period, usually a month. An uptime of 99.5% means that the server is guaranteed to have a maximum downtime of 0.5% for the month. A server is constantly running and like a PC, has to be maintained and occasionally requires software and hardware updates. A sub-domain is an extension of a domain name that helps to categorise content in a website, an example would be sport.news.com.au. Sub domains can we used to group content in sites, in the example above to separate sport news from new content. They can also be used to separate parts of a business, i.e. finance.company.com. "Why would I need a dedicated IP?" A dedicated IP is required for a website using SSL which may be used for an online store. It may also be used for companies that want to provide an anonymous FTP. Creating a dedicated IP is a simple process, contact us and we will arrange it for your site.